Welcome to the AmericInn Lodge and Suites Hutchinson, Minnesota. Our great location and wonderful amenities make us the best lodging choice while in the Hutchinson area. We offer a variety of tastefully updated guestrooms between our West and East Building featuring LCD flat screen televisions, king whirlpool suites, and kitchen rooms available for extended stay. Start your day off right while in Hutchinson and enjoy our free, hot, home style AmericInn Perk breakfast. Guests also enjoy our inviting, indoor pools, hot tubs, sauna, and steam room. The AmericInn Hutchinson hotel is conveniently located just off highway 7 in Hutchinson, Minnesota, one hour from Minneapolis. While staying in Hutchinson, make sure to explore this beautiful area, including the Historic Downtown, Crow River Arts, McLeod County Museum, and the Crow River Winery. There are so may things to do in Hutchinson, Minnesota you will find something for everyone to enjoy and they are just minutes from your front door. 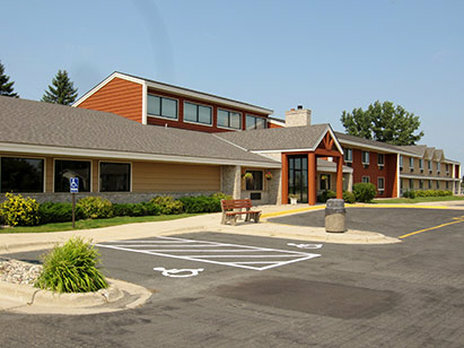 The AmericInn Hutchinson hotel is conveniently located just off Highway 7 in Hutchinson, Minnesota, 50 miles from Minneapolis. While staying in Hutchinson, make sure to explore this beautiful area, including the Historic Downtown, Crow River Arts, McLeod County Museum, and the Crow River Winery. Hermann the German -- not a cartoon character, but a historical leader who beat the Romans -- has brandished his Teutonic battle sword over New Ulm since 1897. A looming (and practical) civic symbol for corn-proud Olivia.